Your legs are in good hands with Dr. Vinay Madan. He brings his extensive experience as a vascular radiologist and practitioner of minimally invasive vein procedures to address each patient’s needs. Vein Specialization: Dr. Madan has extensive training in phlebology, the diagnosis and treatment of varicose vein disease and related disorders. At Vein Clinics of America, he specializes in ultrasound-guided foam sclerotherapy and endovenous thermal ablation. Medical Credentials: He received a Doctor of Medicine from Downstate SUNY at Brooklyn Medical Center and completed his residency in diagnostic radiology and a fellowship in vascular/interventional radiology at North Shore Long Island Jewish Medical Center of the Albert Einstein College of Medicine in New Hyde Park, New York. 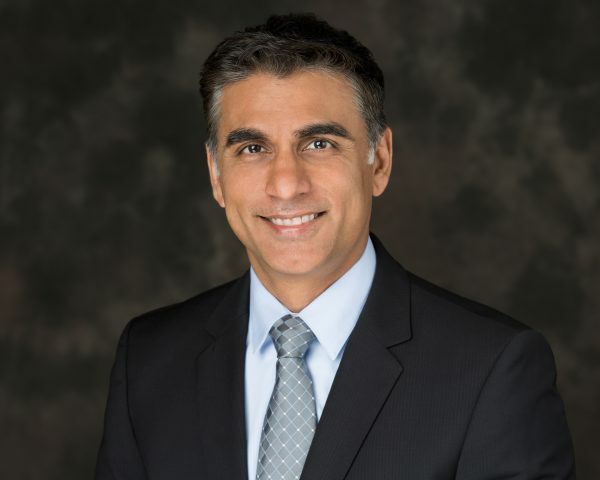 Prior Experience: Most recently, Dr. Madan was Chief of Vascular/Interventional Radiology and Chief of Vascular Ultrasound at Eastern Connecticut Imaging. He also served as a Vascular and Interventional Radiologist and Chairman of Radiology at Eastern Connecticut Imaging in Manchester, CT and as Chief of Vascular/Interventional Radiology and Assistant Director of Medical Imaging at Sharon Regional Health System in Sharon, PA.
Professional Affiliations: Dr. Madan is an active Member of the American Vein and Lymphatic Society and the American Board of Venous & Lymphatic Medicine. With specialized training and expertise in minimally invasive procedures, I have a unique opportunity to offer the latest vascular treatments for chronic venous disease in a caring and compassionate atmosphere.